Hey there everyone! Hope you have been having a lovely weekend! 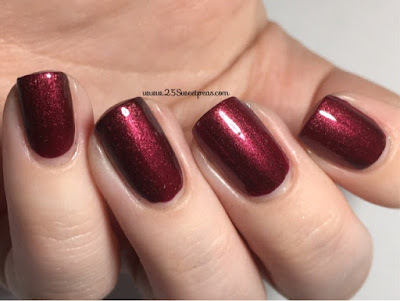 Today I am really excited about this post, because it's using a new polish I got for Christmas that I just love! This polish can be worn 2 ways so here is the first look of it being worn the way it was made to be worn. This is just one coat of Urban Outfitters Royale which is meant to be a matte polish. 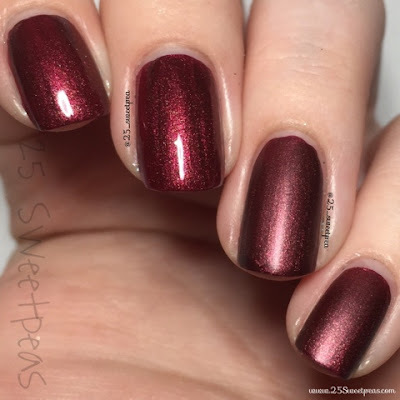 To me it seems like a velvet polish, and really it is just beautiful! 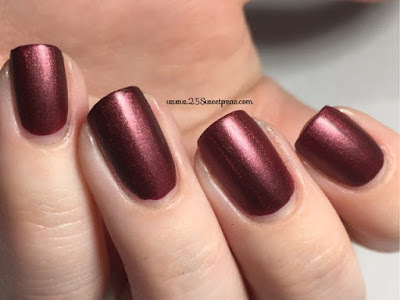 I am not a matte person as most of you probably know but really this one is a lovely one! I took so many photos too! I think the fact that this is just one coat impresses me the most! Also the fact that it doesn't stain! Those are both two huge things that make me love this polish! UO polishes come in really big square bottles and they are a bit challenging to hold for a photo, but I really wanted to get a picture with the polish bottle! You kind of get to see what it would look like glossy! Now here you literally can see it half and half! I added Serendipity Nail Polish Finishing Touch as my top coat and left the other two to be matte so you could see it all in one picture! 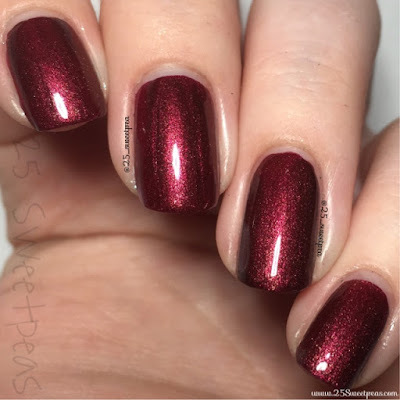 Top coat really livens up the sparkle which just makes me so happy! Now full on top coat! 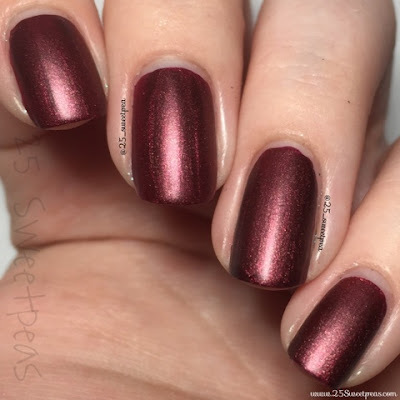 I will have to say my favorite way to wear this is full on Top Coat! I just absolutely love the sparkle that shows up! 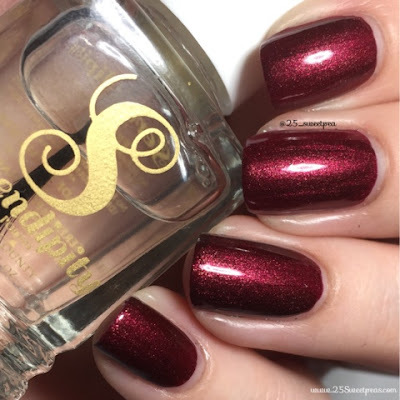 Plus most polishes that would look like this tend to be runny but if you remember to what I said earlier, this is a one coater! Ahh, I really just love this polish!! What about you all? Do you like it with top coat, or do you like it matte? Last photo of it like this, I promise! So I was thinking of leaving the post like this but eh, I decided art was a must! So I have added a winter scene on top, plus there is a tutorial as well so let's check all of that out!! For the details I used a big nail dotter, Berry Wine Brushes from Winstonia and a smaller dotter from Twinkled T! 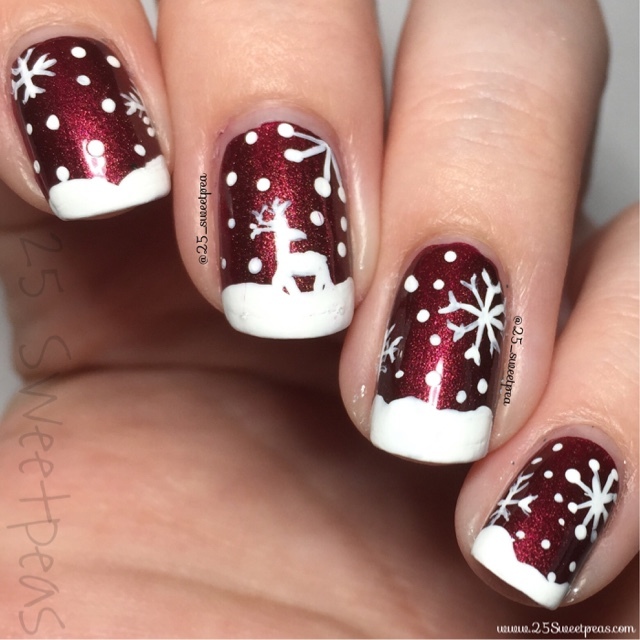 These nails were inspired but the one and only Magically Polished ! She always does amazing work! So click her name and check all of her art out!! I'm a huge fan of all of her work! Now how about that tutorial? Well that is all for this very long Sunday Post! Hope you all enjoyed this post! I can't wait to hear who is team shiny and team matte, also let me know what you thought of the art too! Wishing you all a lovely rest of your day! Ooooh, this is stunning! I think I actually like the satiny matte finish just a tiny bit more than the shiny one (call me crazy!). Your winter scene artwork is perfection! Thank you so much! The more I look at it Matte I do like it more! Its almost like a completely different polish which is fun! Awww...this is so pretty. I super love the base color. I also the finish. I think its worth trying out all year round. Definitely! 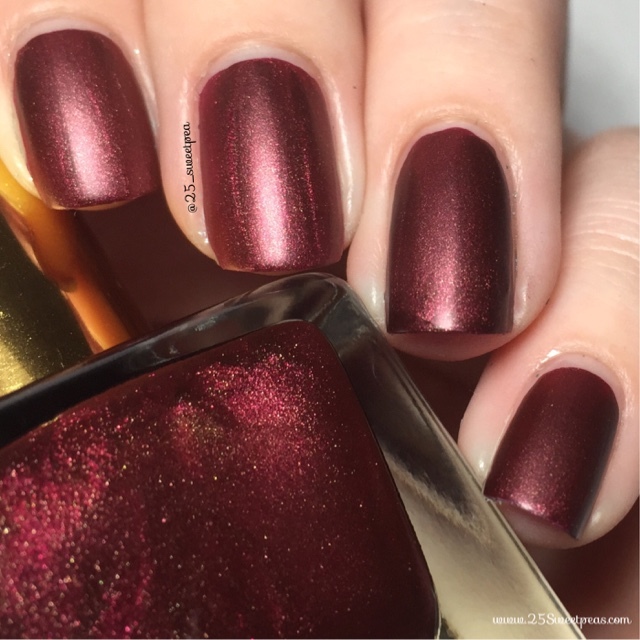 Its such a fun shade! Plus you cant' beat one coat! Also removal was a breeze and no staining at all! I have been continually impressed by Urban Outfitters polishes! Thanks so much for reading and commenting! I really appreciate it! Hope you have a lovely day!